This is the black original style long grain material for the roof on the Model A Ford closed car. 65 inches wide. Model A pickups and coupe's normally use 4 feet, two door sedans need 7 feet. Priced per foot. Enter the quantity in feet, as required. (e.g. qty 4 = four feet). 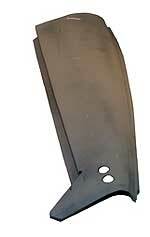 Cast Aluminum irons for 1928-31 Sport Coupes Come in plain cast form, you will have to do drilling and polishing. 1928-31 Landau Iron Studs. Set consists of all 4 of the studs for mounting the landau irons. 1928-29 Landau Brackets . 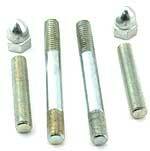 Installs on the inside of the car and the lower landau iron stud screws into this. 1930-31 Landau Brackets. 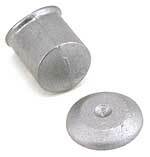 Installs on the inside of the car and the lower landau iron stud screws into this. Bakelite spacer kit for the landau irons on the Sport Coupe. 4 piece set. Bakelite spacer kit for the landau irons on the Cabriolet. 4 piece set. This is a low-cost set of aluminum landau spacers. They come in the cast form, and you will have to do the drilling and finish work. Set consists of the wedge shaped pieces and the 2 discs. 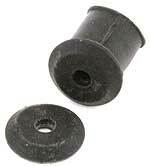 This rubber spacer was used on the 68-A and 68-B Cabriolets between the landau iron and the top. Left side 1929-30 Lower Landau Bracket. Attach to belt area of the body and provides metal threaded stud for the lower landau iron to attach. These work on the 68A and 68B Cabriolets. Cast bronze. Right side 1929-30 Lower Landau Bracket. Attach to belt area of the body and provides metal threaded stud for the lower landau iron to attach. These work on the 68A and 68B Cabriolets. Cast bronze. Left Side 1929-30 Cabriolet Upper Landau Bracket. Cast bronze bracket that top of landau iron mounts to. Fits 68-A and 68-B Cabriolets. Right Side 1929-30 Cabriolet Upper Landau Bracket. Cast bronze bracket that top of landau iron mounts to. Fits 68-A and 68-B Cabriolets. Special nut used on Sport Coupes to attach the vertical braces of either inside of back window to rear bow. Bare steel, female portion only. Slotted head. 1928 or 1929 Model A Tudor sedan left side curved roof panel. This is the panel above the door that rolls from the top of the door up to rib rail. You will have to put the holes in to mount the panel and the rain gutters. 1928 or 1929 Model A Tudor sedan right side curved roof panel. 1930 or 1931 Model A Tudor sedan left side curved roof panel. 1930 or 1931 Model A Tudor sedan right side curved roof panel. 1930 or 1931 Model A pickup left side curved roof panel. 1930 or 1931 Model A pickup right side curved roof panel. This pair of braces are used on the front of the car or truck in the front corner. They tie the wooden side rails to the header over the windshield. Only available in pairs. These only fit the Tudor Sedans and Closed Cab Pickup. These boomerang shaped pieces of wood go in the rear corners of the Tudor Sedan bodies where the rear top molding wraps down to the rain gutter. (These are included in top wood kits). Special pin that acts as a hinge pin where the rear and center bows pivot at the belt rail. Fits 68A and 68B Cabriolets. 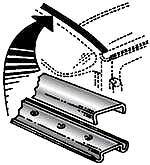 An Aluminum two piece snap on type gutter which you bend to the roof contour. Fasten the flat piece to the roof, and the the gutter piece will snap onto it. Sedan is 90" long. Will work on any car that has wood to nail into where they mount. One set does both sides. In Stock for collection only. They are just too long and liable to get bent if we send them out. 45" Long Aluminium Rain Gutter set for the 1928-31 Coupe. Steel gutters that fit the 1930-31 Coupe. Supplied in straight length, you will have to put the bend in them. This can be done by C-Clamping the end to a wheel or wooden jig with the correct radius. They can be bent hot or cold preferably hot. These were originally welded to the body. Set of 2. 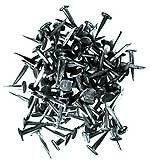 Made in U.S.A.
Ford used these nails for attaching the body and top wood to the sheet metal of the body. Just over 5/8" long, they come in a pack of 100 nails. Set of 100 tacks for securing the black vinyl to the wood. The top molding will cover these tacks. After nailing, it is a good ideal to put a dab of silicone sealant on each nail head. Moulding Tacks for all years. Special spiral nails with a flat head that attach top mouldings and rain gutters to the wood. Come in packs of 100. Made in USA. Aluminium Roof Moulding 5' length. Aluminium Roof Moulding 10' length. You will need one of these for a Model A Coupe and two for any of the 4-door Sedans. Due to length, these must be rolled to be shipped. They are rolled around a barrel with the top of the molding bent to the inside. This way you can nail into position as you unroll. Steel Top Moulding for the model A Ford. The bottom piece nails down and holds the top material in place, and the top snaps over the lower piece to hide the nails. 6' long with correct dome on upper piece! In stock for collection only. They are just too long and liable to get bent if we send them out. This type of moulding was also on the 1931 Slant Windshield 4-door Sedans. (Front). Made in USA. Available to order for collection only. They are just too long and liable to get bent if we send them out. Black rubber molding that was inserted in the steel style top molding that is pictured. Used on late 1931 Coupes, Victoria, and S/W 4-doors. 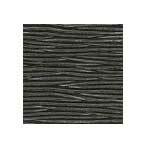 This split style black vinyl welting was commonly used to finish off tops and interiors and has many applications. This welt tip was used on 30-1 Victorias, Stainless nail included. Made in USA. Used on the front of the drip rail moulding on the 28-9 Briggs Fordor only. Stainless nails included. These tips were used on the left & right front roof drip rail moulding. Used on 28-9 Coupes, and Tudors. Stainless nails included. Set of two. These clips go at the rear and finish off the gutters on 28-9 Coupe, and 28-9 Special Coupe. Set of Two. 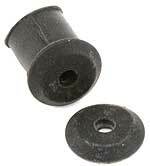 These go on the rear of the drip rails for 28-9 Briggs Fordor. Set of two. This tip was used on the rear of the drip rails on 28-31 Tudor Sedans. Set of two. Used on the rear of the drip rails on 1928-31 Sport Coupes, and 1928-29 Business Coupes. Nickel Plated. Set of two. 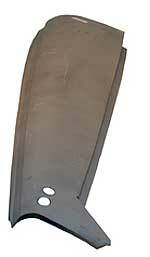 Used on the front of the drip rails on 1928-29 Sport Coupe, and Business Coupe. Nickel Plated. Set of two.